Open every day, Monday to Friday, from 07.30 to 15.30. 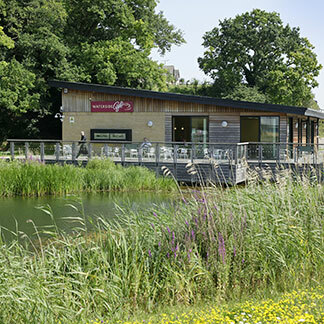 The hugely popular Waterside Café is an ideal, relaxing spot to enjoy a delicious coffee or some great food, chat with colleagues, meet friends, catch up with clients and customers or just watch the wildlife! 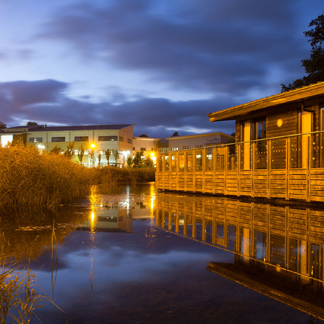 The café sits right next to the Park’s picturesque lake and features plenty of comfortable seating inside, and outdoor seating on the terrace for warmer days. 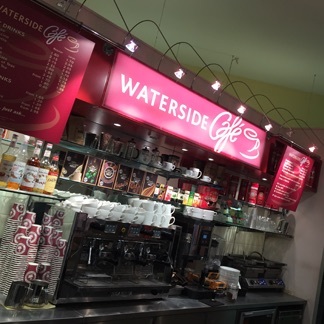 Waterside café serves everything from breakfasts and lunches to a great range of teas and coffees, snacks and light refreshments, such as jacket potatoes, soup, baguettes, toasted paninis, sandwiches, home made cakes and the famous bacon mezzaluna! 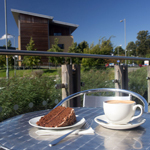 The Waterside Cafe also caters for events and meetings. Everything is freshly prepared by Chris and his friendly team. • Outside catering, from special events to wedding receptions. During the winter months, the café offers hog roast baguettes on a Friday; during the summertime enjoy fruit smoothies and ice cream on the decking. Follow us on Twitter @BroadlandPark for the latest updates. 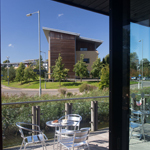 To find out more about catering for business meetings and outside events, email Waterside Café or call them on 01603 702132. Follow Waterside Café on Twitter or see them on TripAdvisor.